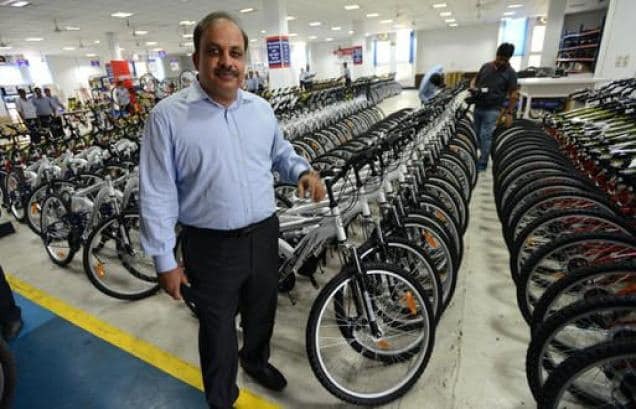 Eyeing the ventilated disc and drum market for car original equipment manufacturers (OEMs) in western India, bicycle maker Hero Motors commissioned the first phase of its 1,500-tonne-per-month (tpm) plant in joint venture with Japan's Kiriu Industries. Hero Motors plans to up its turnover to Rs 2,500 crore, marking an over two-fold increase, by 2022. Currently, the company has a turnover of around Rs 1,000 crore from its auto-components business. It manufactures chassis, transmissions, brakes, drums, discs, and knuckles. Formed in 2007, Munjal Kiriu Industries Pvt Ltd (MKIPL), which already has a plant at Manesar (Haryana), has a 40 per cent share in the disc drums market in the country. Pankaj Munjal, chairman, Hero Motors Company claimed that they supply around 66 per cent of the total disc-drums requirement for India's leading passenger car maker Maruti Suzuki India Ltd.
"From our Manesar plant, we cater to the requirements of OEMs in the northern region; the Mandal plant is for OEMs present in the West and the Board is also considering a plant in the southern region," informed Munjal. MKIPL, which makes precision brake parts, has a turnover of Rs 330 crore at the moment. Hero Motors company has invested Rs 150 crore in this project and will have a total installed capacity of 1,500 tonnes per month. While the machining phase has been completed, the casting phase is expected to be commissioned by March 2018. By then, MKIPL would have a net installed capacity of 90,000 tonnes per annum (tpa), combining the two plants in Manesar and Mandal. The Manesar plant has an installed capacity of 4,200 tpm and supplies brake parts to MSIL, Honda Cars India, Renault, Nissan and Toyota India. The Gujarat plant has come up at the 100-acre Japanese Industrial Park at Mandal.